Taking care of our mother nature doesn’t require huge sacrifices. It is indeed for our better tomorrow. By joining hands with Omega Natural Polarity (ONP) we can take small steps towards the mission of green nation by making the best use of sustainable renewable energy which is the key to attain an eco friendly environment. Our team at ONP consists of group of individual experts in their respective fields. Their cutting edge skills, proactive nature and diligence are the reason behind the success story. The vision and sole motto of ONP towards achieving sustainable development is powered by the products that are designed and manufactured to reduce the large scale grid connected power. To shift from our current reliance to renewable and clean source of energy, our products are the output of true combination of various natural resources like wind, solar and water. We also customize our products as per the need and requirements of our valuable customers. Among many of our national and international projects, we have successfully deployed large solar pipelines across the globe in collaboration with our principal company. Apart from this, we also provide service in facilitating solar plants and also finance for large plants. The USP of ONP is that it offers the most promising and upgraded grid integration in the PV industry. Moreover the PV power stations works more as conventional electricity generation plants that dynamically alleviate the electricity grid. Our grid integration systems are highly developed and equipped with superior features that have the ability to regulate voltage, limit the rate of change of power, dynamic power when necessary, prevent trips during faults and instabilities, and respond to changes in grid frequency. When we are talking about sustainable renewable and solar energy Photovoltaic or PV power plants is what that struck our minds. Among the many benefits of PV modules other then providing a highly promising future both for economical viability and environmental sustainability, it ensures green and clean environment. Our PV modules are designed in a way for which it falls in the list of world’s most advanced power stations. Our thin film solar modules deliver higher energy that yields beyond temperature of 25°C and produce more energy for the same nameplate watts. To condition and safely transmit electricity, balance of system component is an important equipment. ONP in this regard has made significant improvements to optimize the entire PV power plant and reduce life cycle costs to a large extent. Some of the examples of plant optimizing technologies include our proprietary data acquisition, plant control and mounting systems that have facilitated to produce reliable and predictable solar energy, faster construction velocities and lowered the level of electricity costs. As already mentioned that ONP is proud of its team of hi-end technocrats, therefore there is no doubt in the engineering and construction capabilities of our products and render the best service in the solar industry. Such confidence has only been attained after constructing world’s largest 1.5GW power plants and some ongoing projects one of which is the 2GW power plant project in our pipeline. Each project are handled with utmost care without compromising in any factor whether received directly by ONP or through local or global construction partner. The key success factor for PV power plants depends on operations and maintenance. The PV power stations have different components and each of these sub systems require different skill sets. Our expertise in maximizing energy and experience in plant optimization has resulted in the development of the most upgraded O&M programs in the PV industry. Our collaboration company has more than 1.5GWh of total energy generated from plants under operation till date. , ONP currently operates 30+ utility scale PV power stations with a fleet availability of over 99%. Our upgraded and smart O&M equips our valuable clients with higher energy output and system availability, leading PV forecasting in the industry and guarantees power plant availability. Policies play an important role in fostering the market for renewable energy. ONP is doing its task by encouraging renewable sustainable energy discussions and policies across the globe. Its active participation in socio-economic energy associations and collaborations with regulatory officials at global level is leading towards building a dogmatic framework for a sustainable solar market. 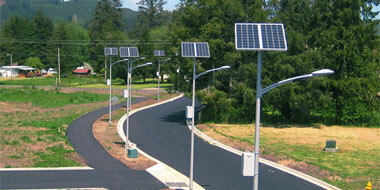 Renewable energy is the pillar of sustainable energy. Shifting towards adaptation of sustainable energy solutions not only makes environment eco friendly, but can dynamically change social and economic status of a nation. Our mission at ONP is to deliver the best service keeping in mind the above perspectives at global level. The smallest carbon footprints and fastest energy payback time in our power plants make it top-notch in the industry. Our products have replicated tons of CO2 emissions that are equivalent of powering approximately 1000’s of households based on an average Indian home.